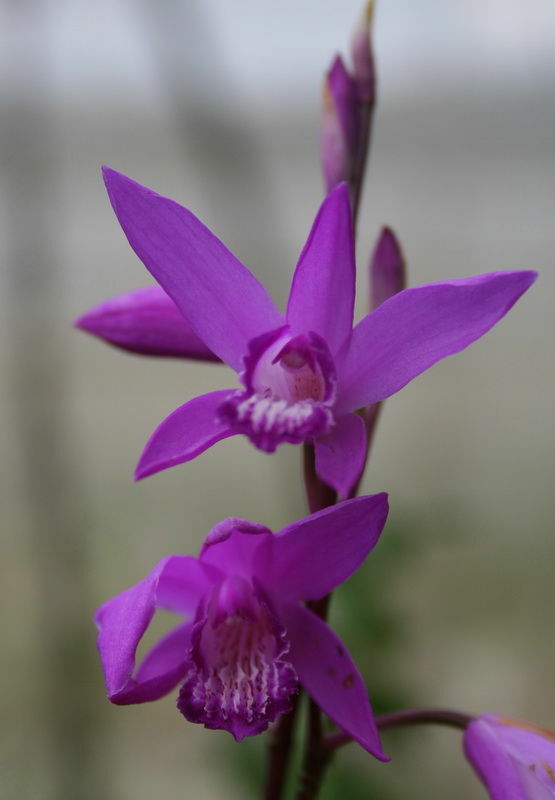 Bletilla is a hardy terrestrial ground orchid, native to eastern Asia, a genus consisting of about 10 species. These beautiful orchids like a morning sun position, requiring some frost protection in early Spring when they emerge to avoid leaf damage. They benefit from watering at least once a week during the Summer months and will die back naturally at the end of Autumn when you can remove the old foliage and top dress with blood and bone. Propagation by careful division of pseudo-bulbs can be done in late Winter. A great addition to a woodland aspect.